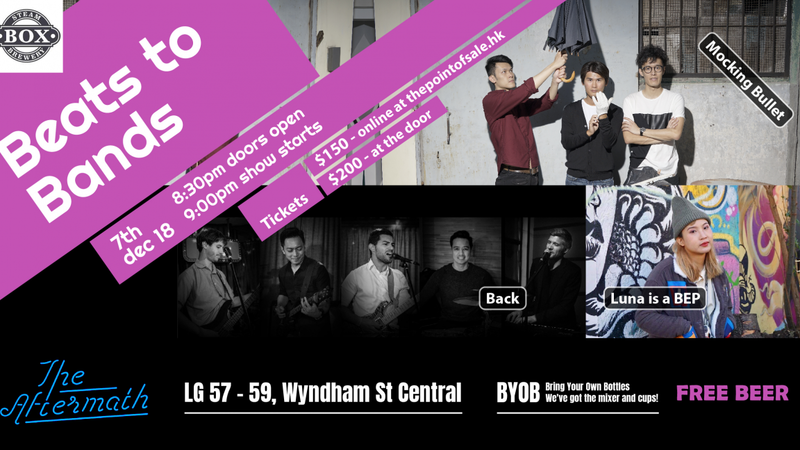 A night of music spanning Luna is a BEP's hip hop, Mocking Bullet's pop rock and BACK's groovy sound. And free beer from The Box Steam Brewery, UK- while stocks last. What more could you ask for! BACK is an indie pop rock quintet helping define their own genre. Phrases like "familiar," "moving," and "spiritual," have been used to describe their unique blend of sounds, featuring two guitars, keyboard, drums and bass. With three singers/ songwriters who alternate between lead and backing vocals, their music is warm and full without being overbearing. If listening for the first time, don't be surprised to find yourself singing along after their first hook.